Focusing both on grammatical and communicative competence, the course contains 15 lessons combining authentic dialogues and texts with grammar explanations, exercises and audio materials to guide and support the student through the key skills of reading, writing, speaking and listening. glossaries – comprehensive Persian to English and English to Persian glossaries. 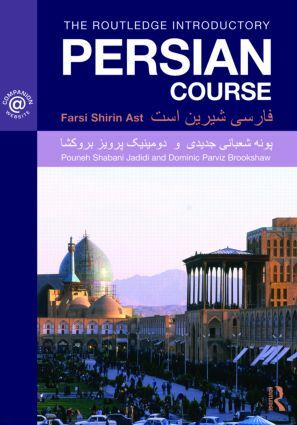 The Routledge Introductory Persian Course: Farsi Shirin Ast provides everything that students and instructors need for an engaging and effective learning environment. Pouneh Shabani Jadidi is Head of the Persian Language Program and Faculty Lecturer in Persian at the Institute of Islamic Studies, McGill University, Montreal, Canada. Dominic Parviz Brookshaw is Lecturer in Persian Studies and Iranian Literature at the University of Manchester, UK.